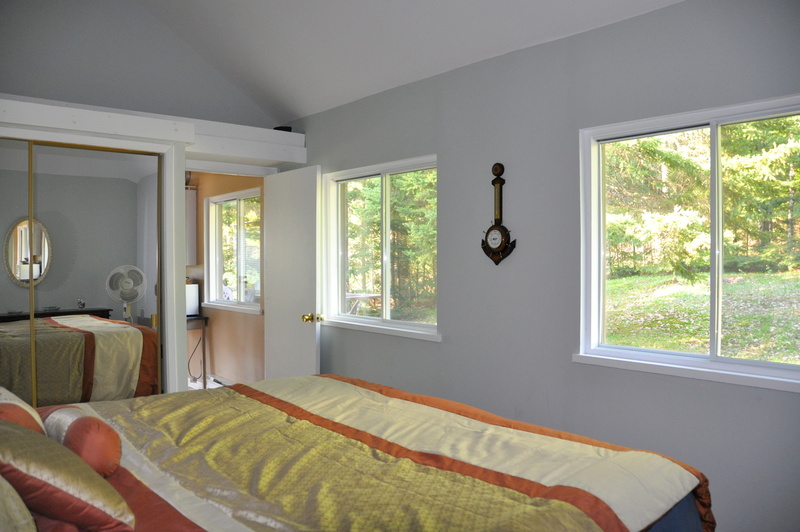 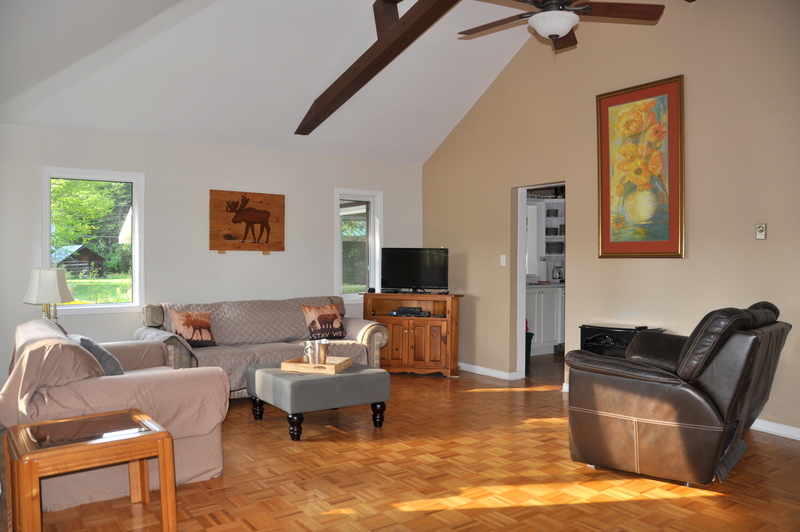 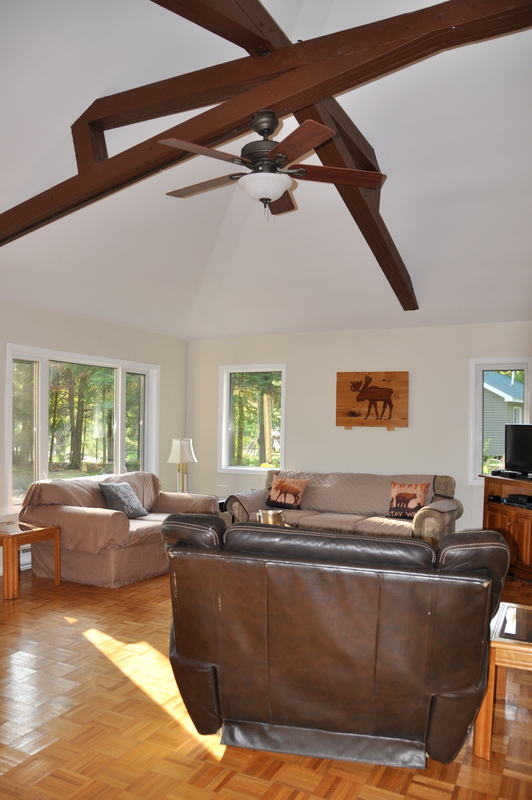 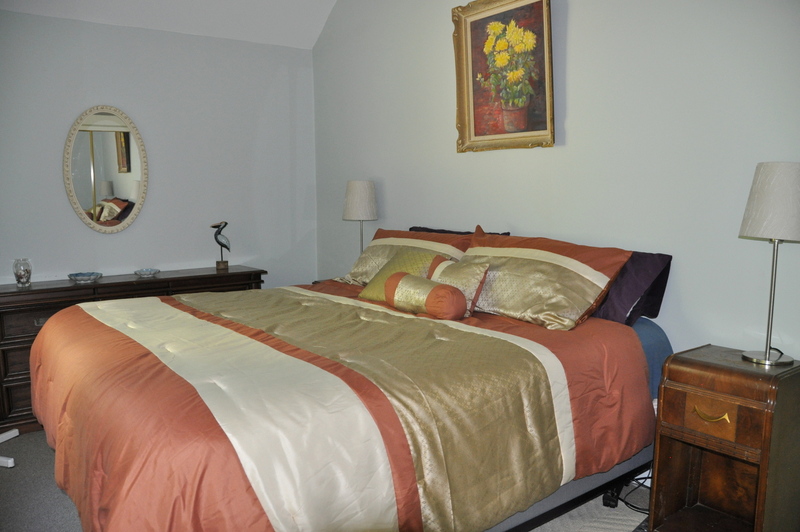 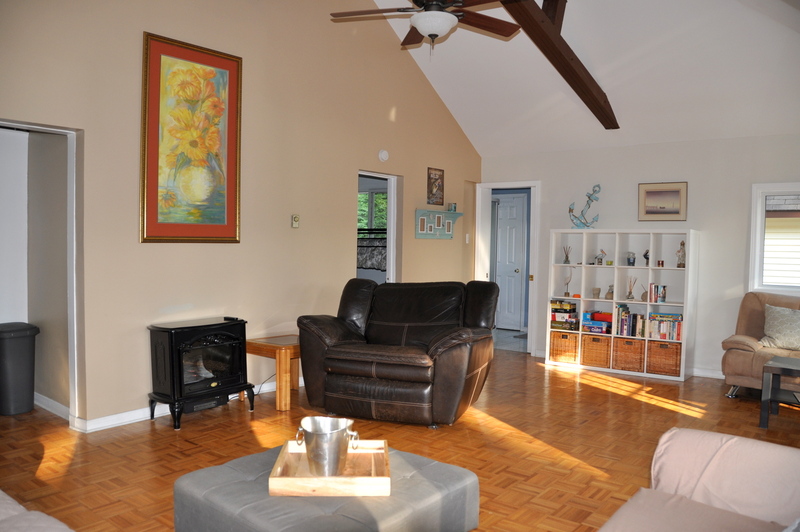 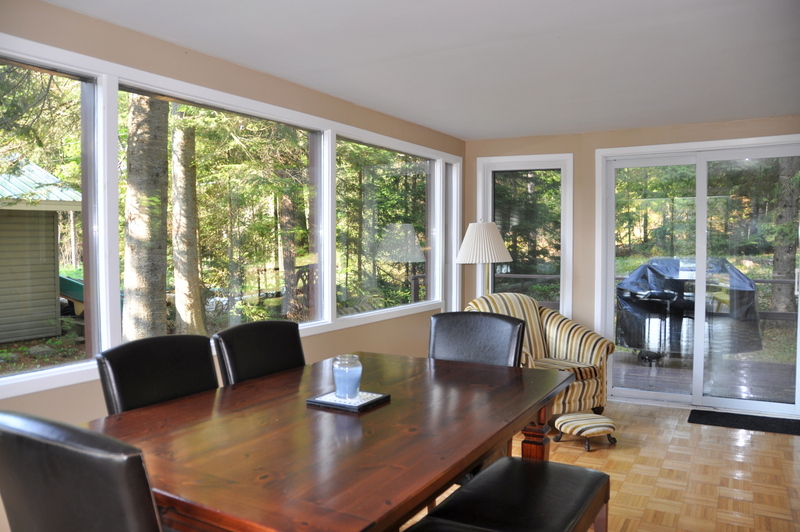 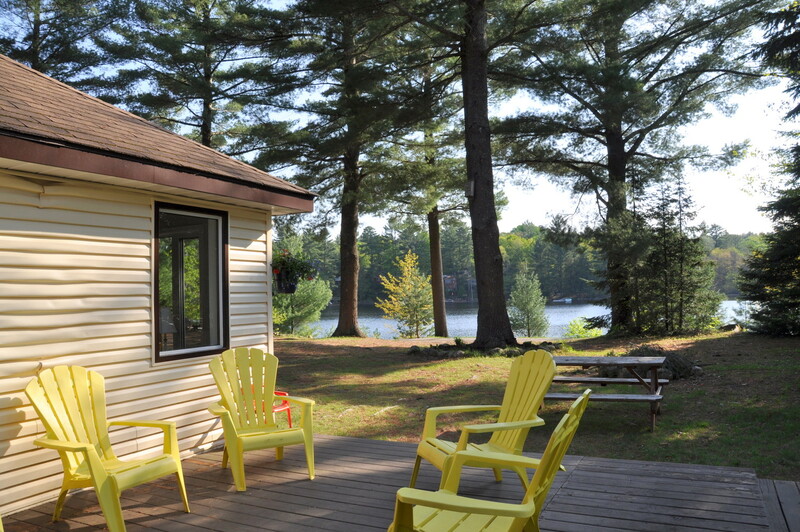 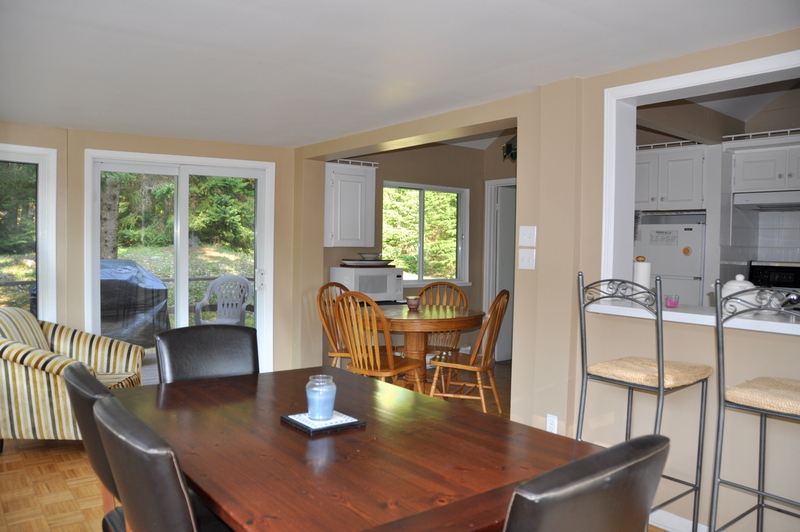 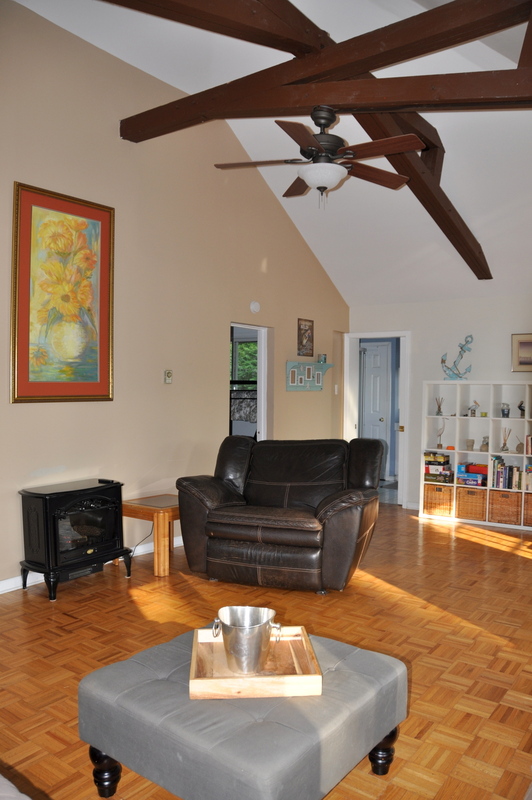 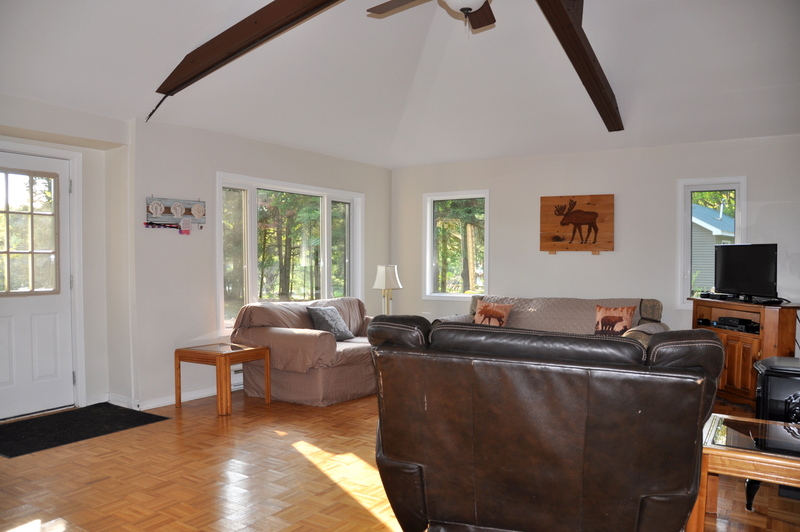 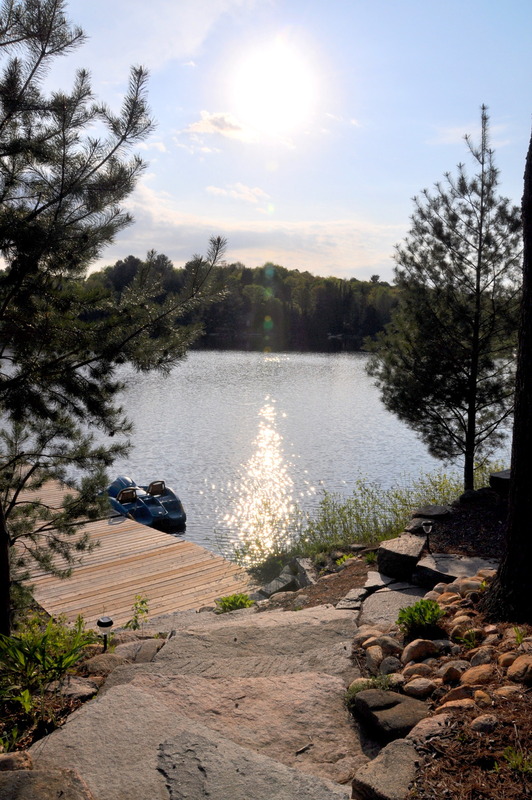 Welcome to the perfect and affordable Muskoka vacation destination for the family! 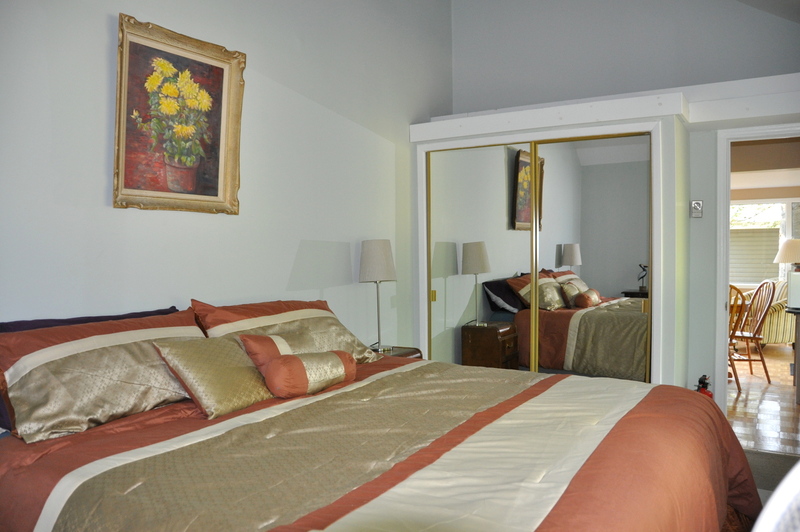 This lovely 2 bedroom, 1.200 sq. 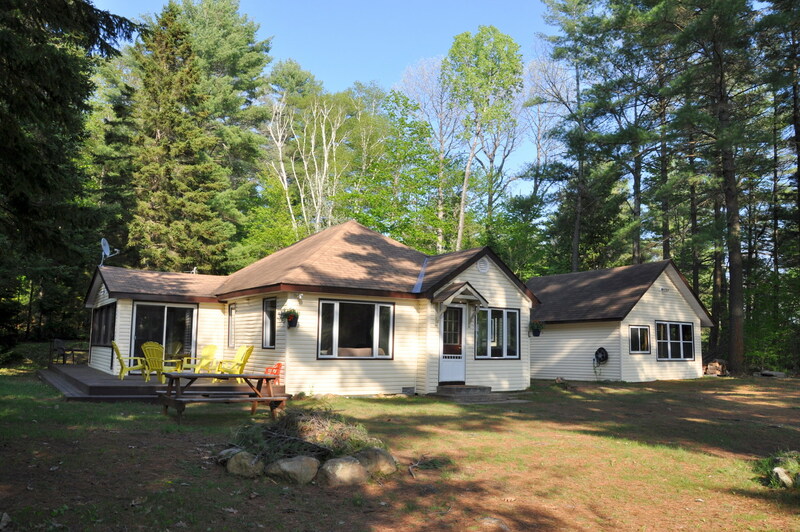 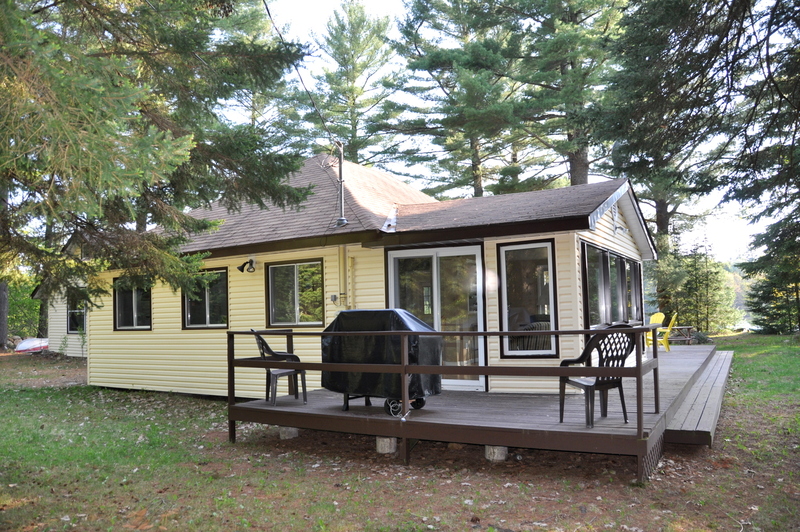 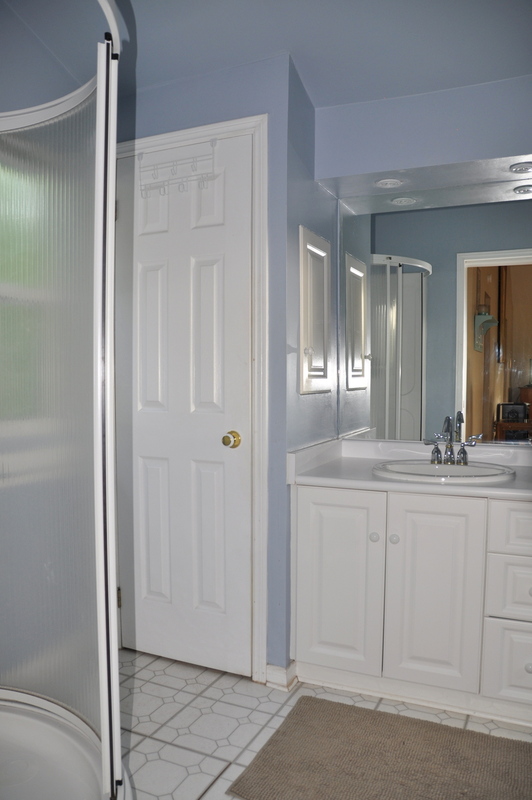 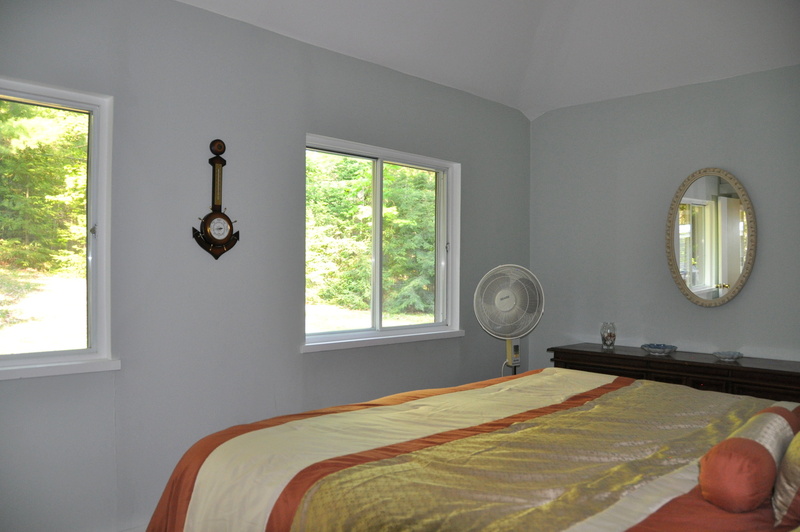 ft. cottage is located on an acre of land on peaceful Prospect Lake. 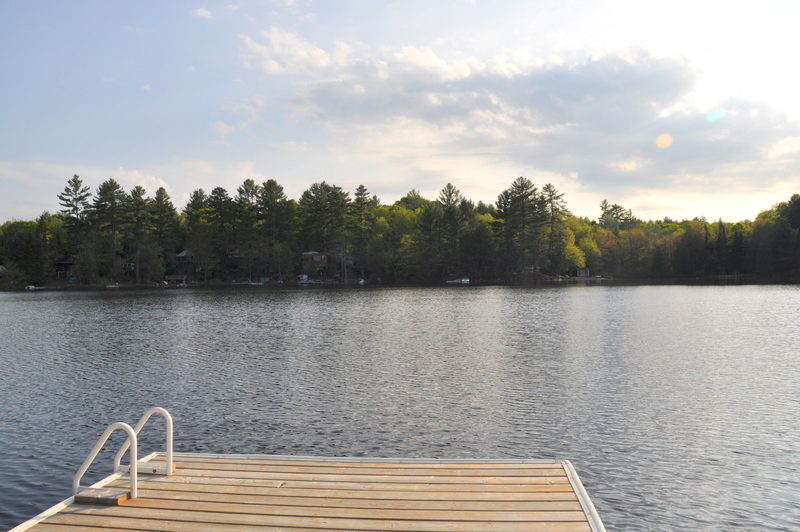 Prospect is another one of the hundreds of Muskoka lakes that are slightly off the beaten track and allow you to experience cottage life away from some of the busier lakes to the north. 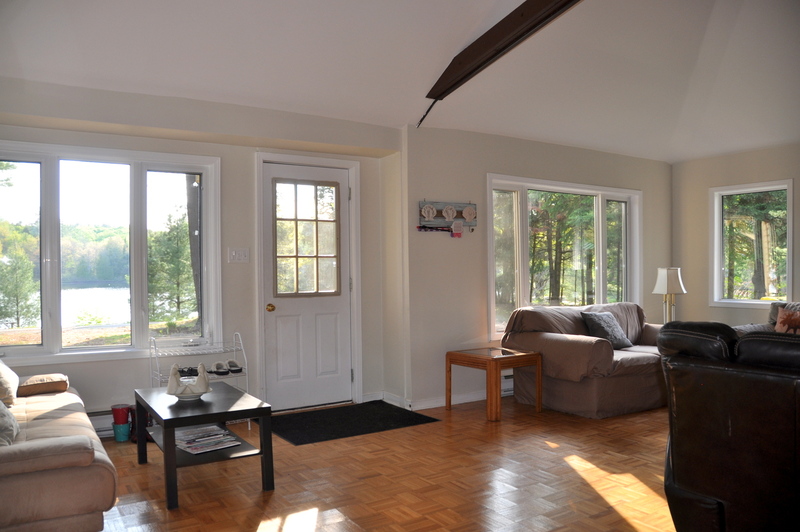 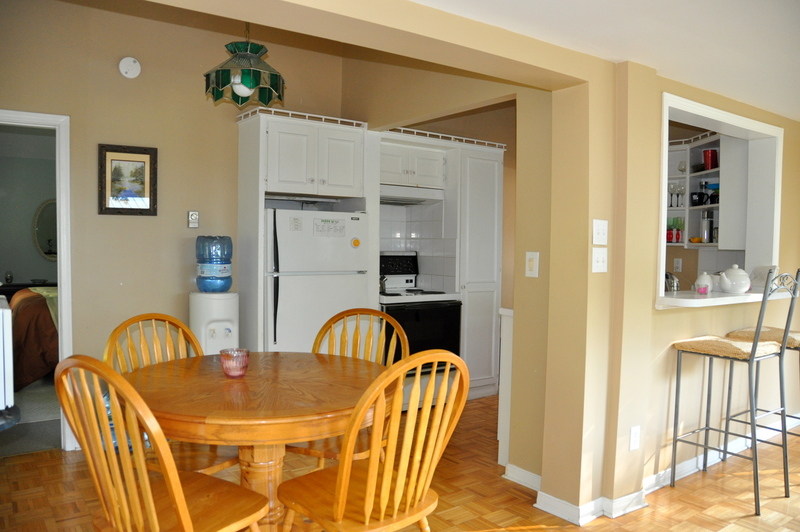 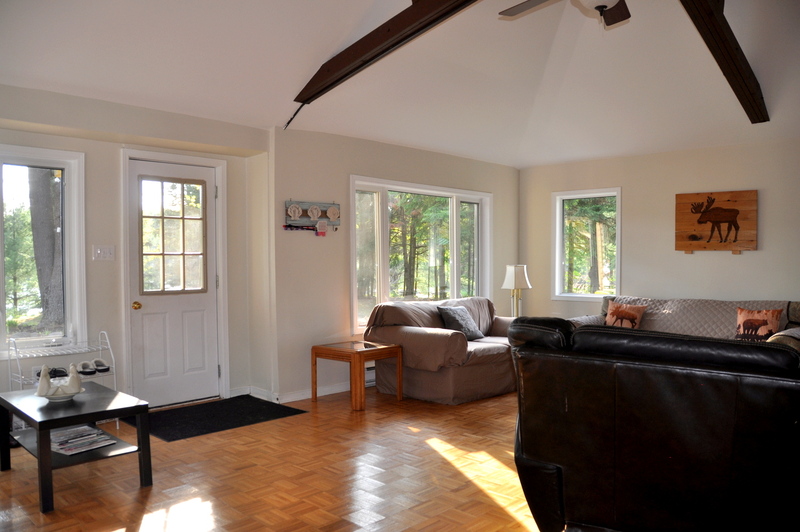 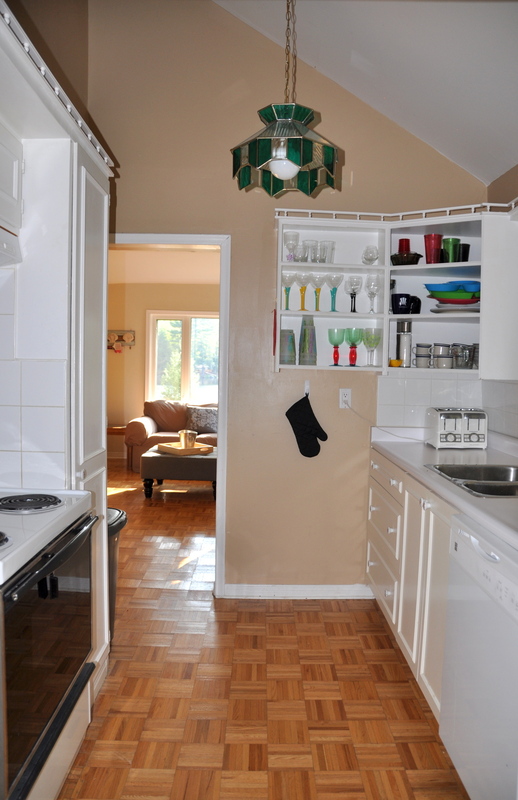 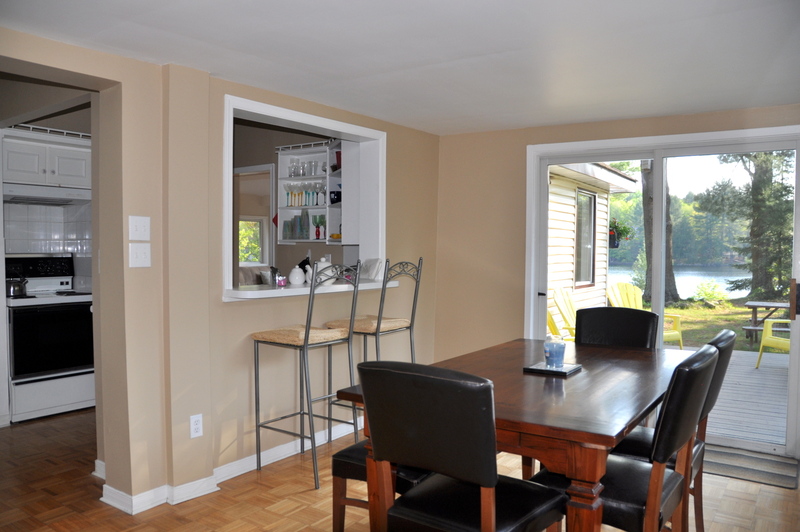 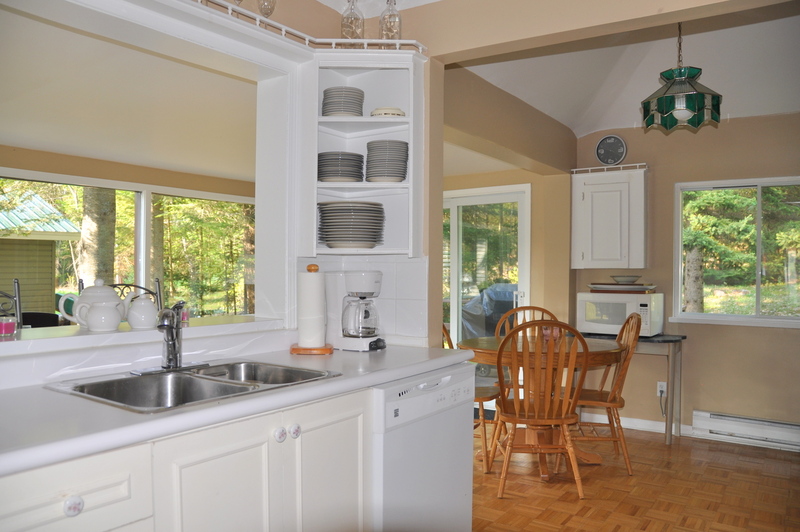 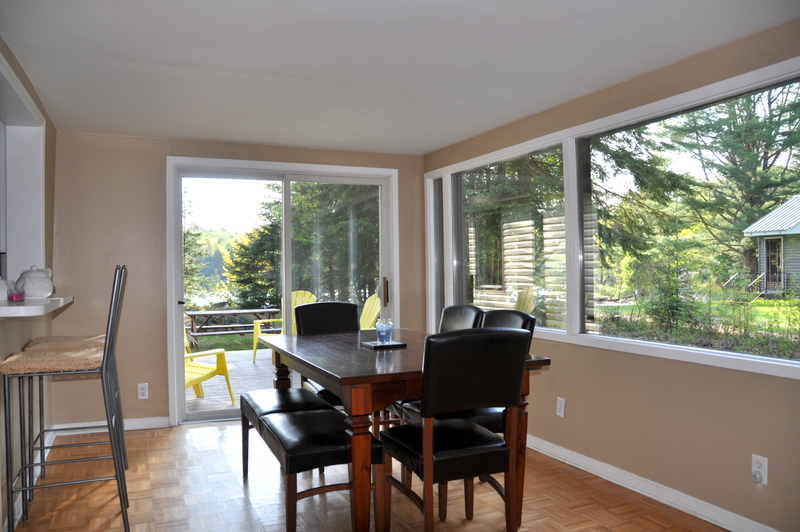 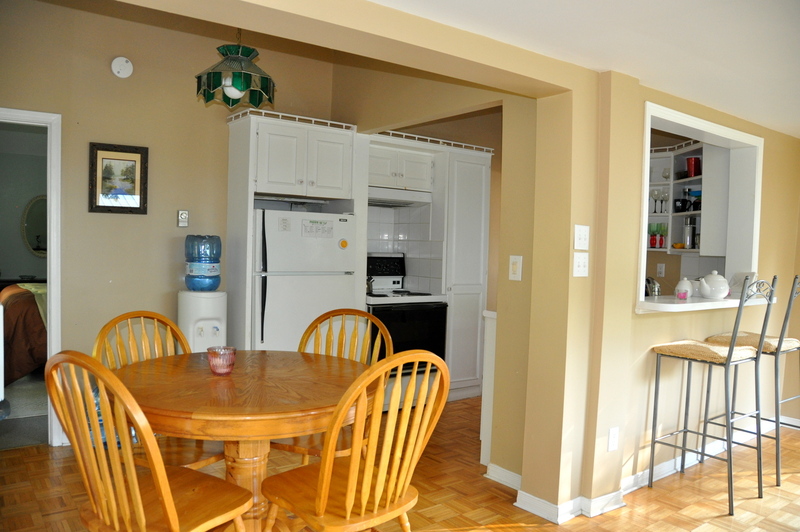 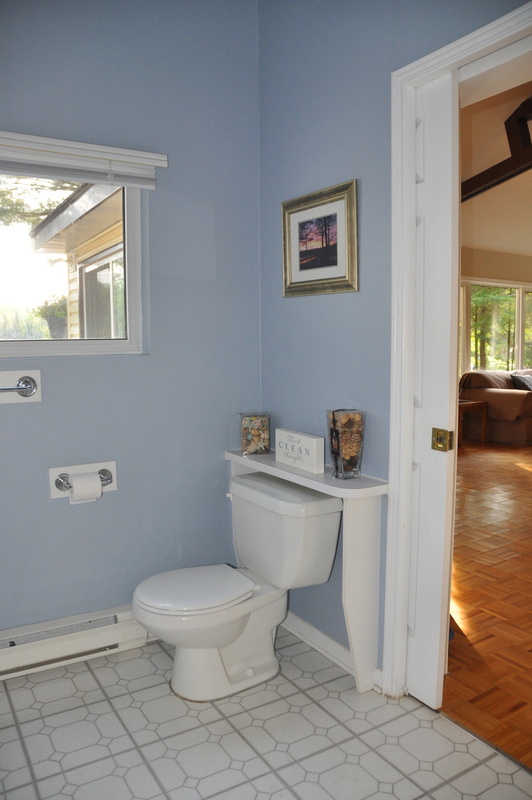 The cottage interior is bright, spotless and well laid out. 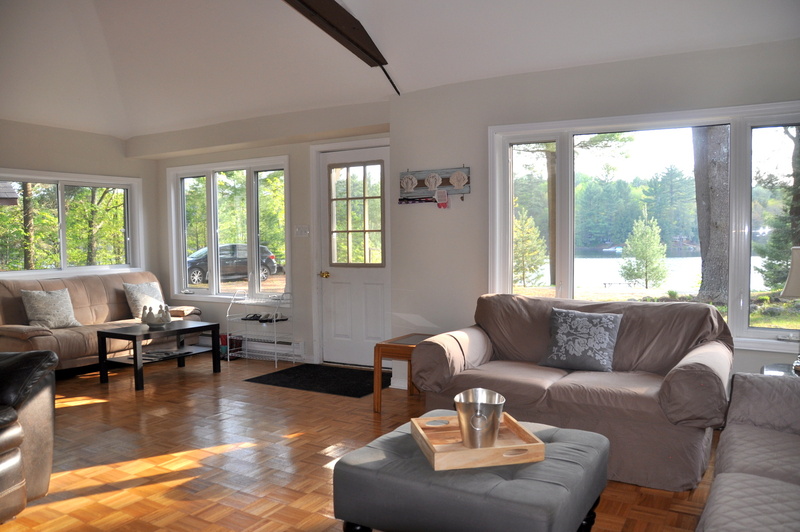 The spacious living room stretches across the entire front of the cottage with beautiful views out to the lake and plenty of comfortable seating for all the family to gather and relax. 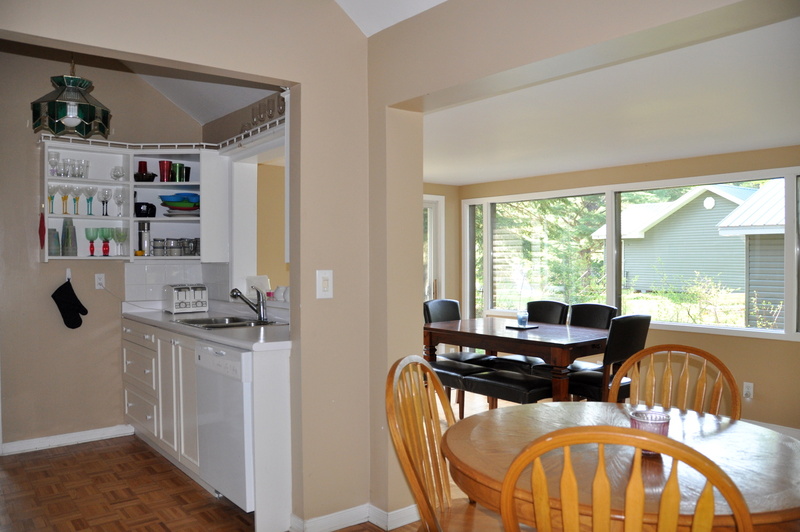 The kitchen extends off of the living room and opens up into a large, bright L-shaped dining area, once again with plenty of seating to accommodate the whole family for breakfast, lunch and dinner. 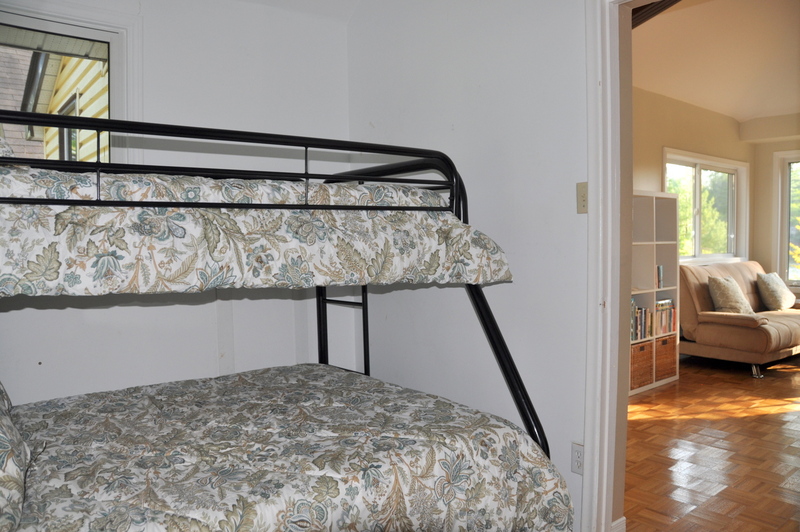 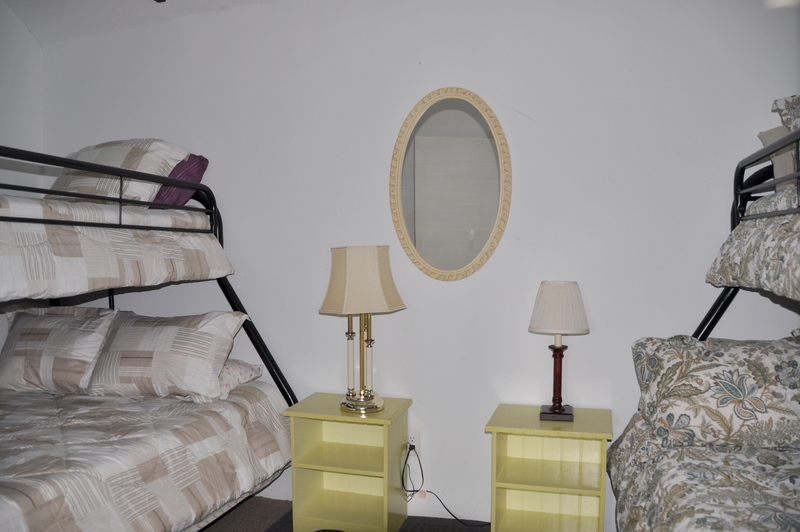 The master bedroom is tucked into the back of the cottage, giving the adults privacy while the second bedroom off of the living room has 2 sets of bunk beds, great for the kids. 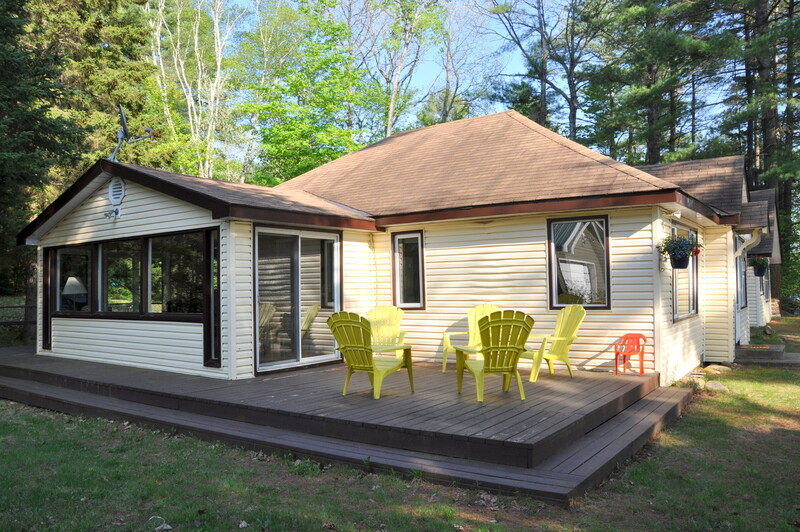 There is a wrap-around deck offering sun and views of the lake at the front and the section in the back offers shade from the large pines. 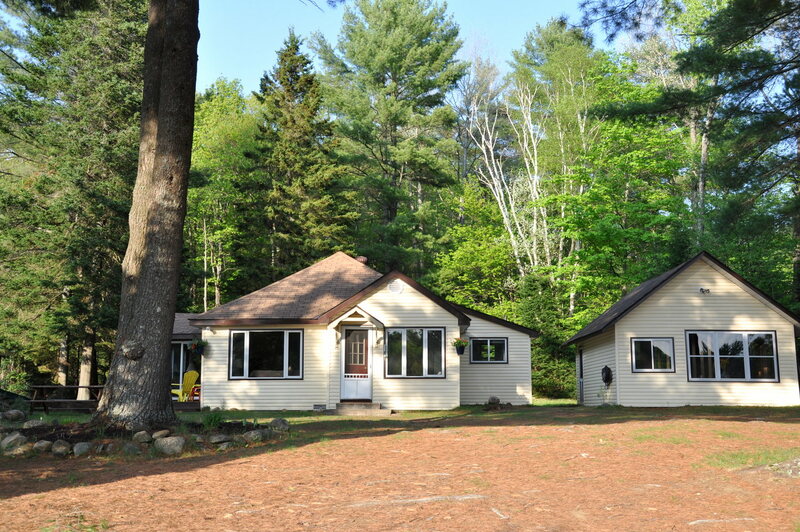 There is wonderful open and level lawn areas both in the front and in the back, perfect for throwing a frisbee or playing catch. 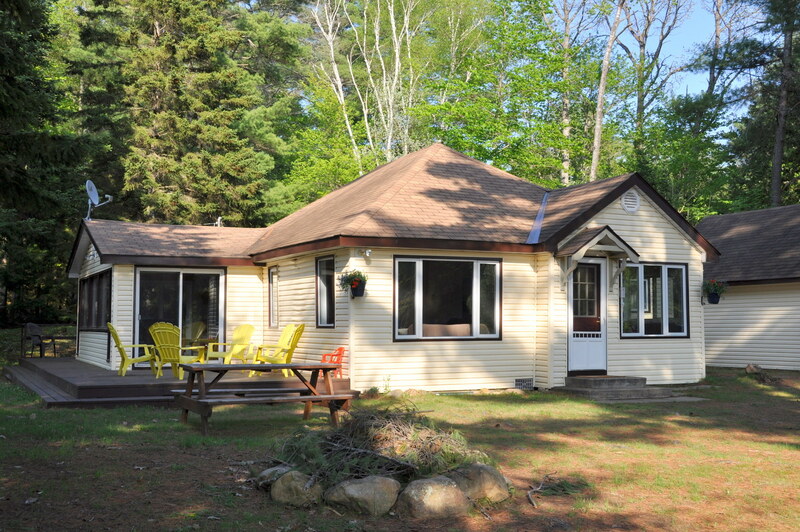 The narrow country road in front of the cottage is great for scenic afternoon walks or runs. 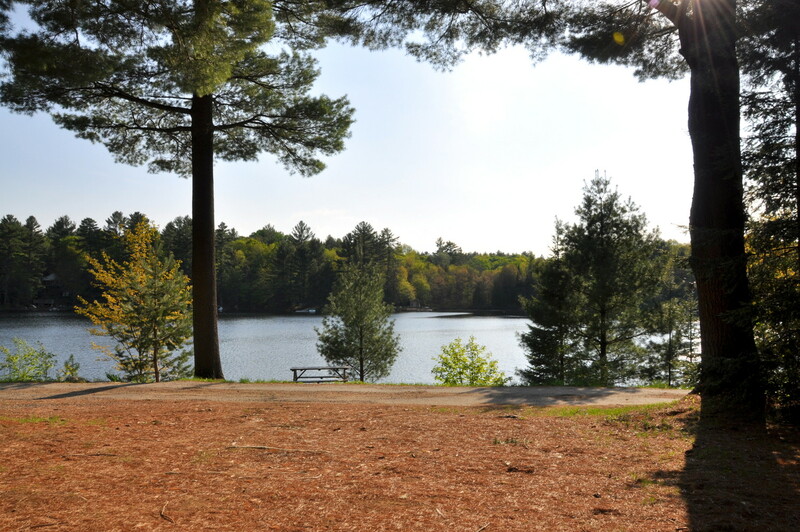 For the little ones there is a community beach at the beginning of the road in case building sand castles is on the wish list. 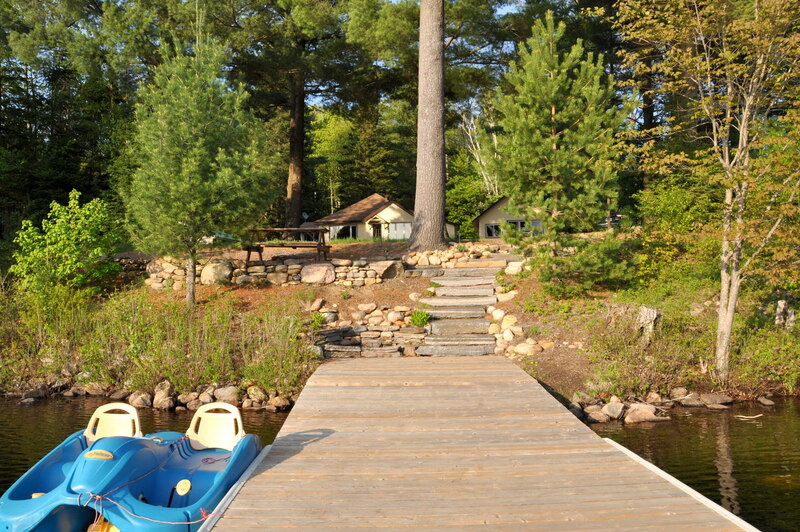 Across the road from the cottage is 200 feet of natural shoreline with a picnic table for afternoon snacks and a long dock to spread out on and soak up the sunshine all day long. 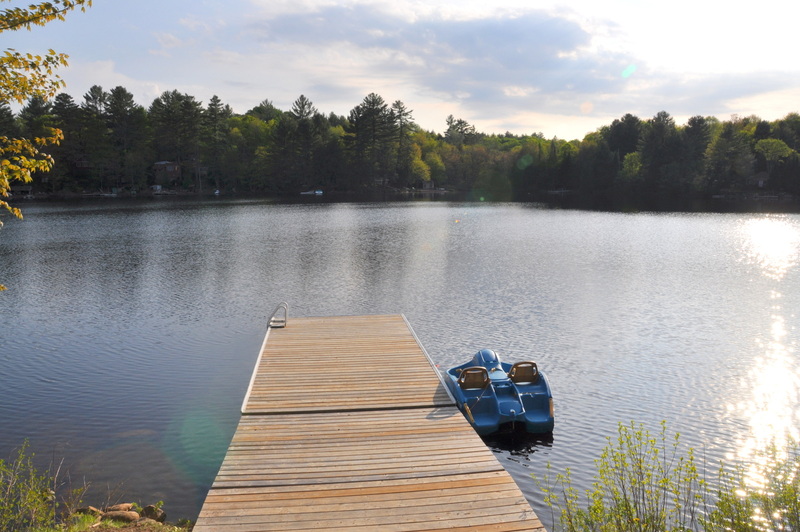 With 2 kayaks and a paddleboat at your disposal, the whole family can get out on the water and explore the calm lake. 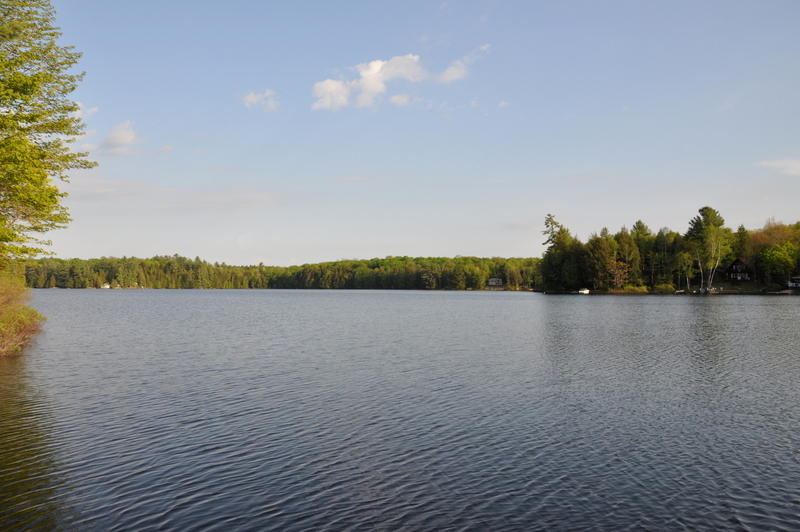 For enthusiastic anglers, pike and bass fishing is great so don’t forget to bring your tackle box. 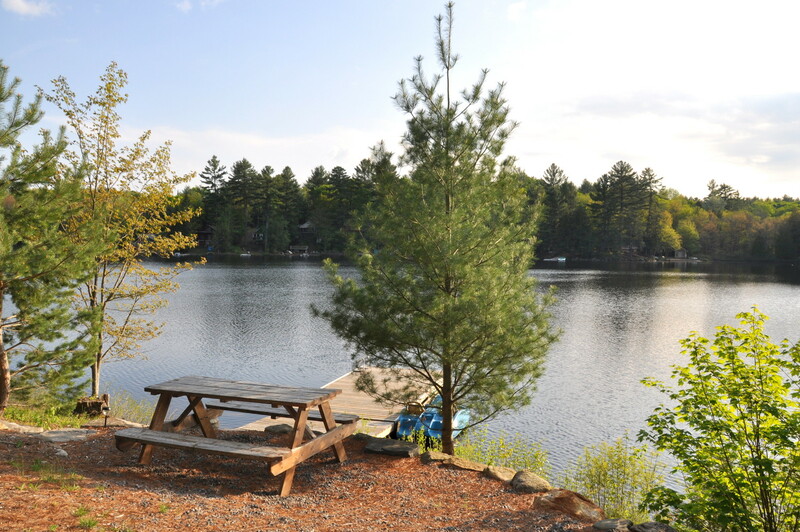 With a southwest exposure end your days watching beautiful sunsets around the fire pit, roasting marshmallows, telling stories and making plans for the next day’s adventures! 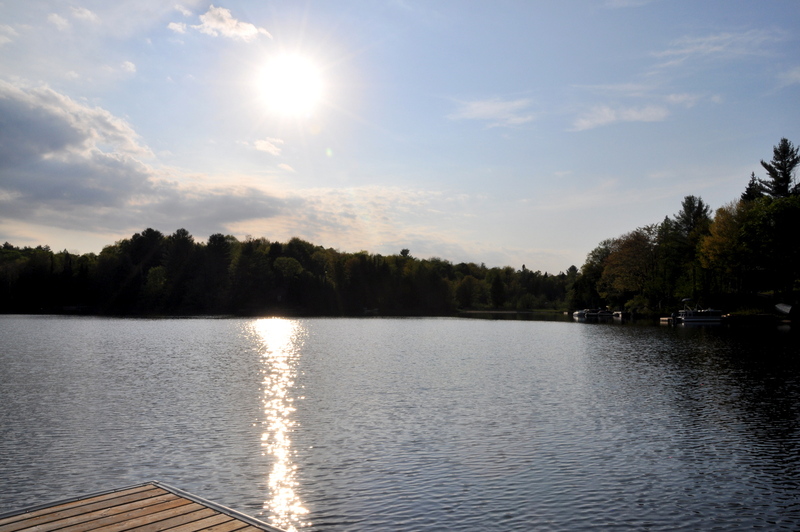 LOCATION: About 2 hours north of Toronto. 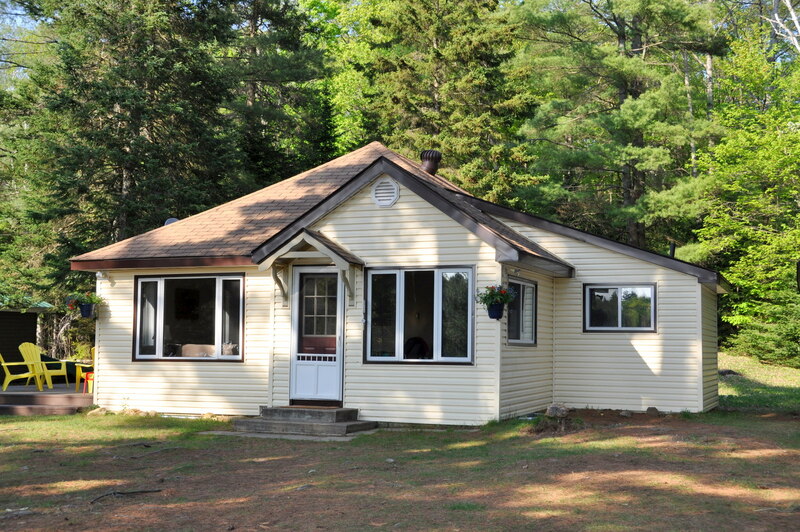 Approximately fifteen minutes East of Hwy 11 just off of Hwy 118. 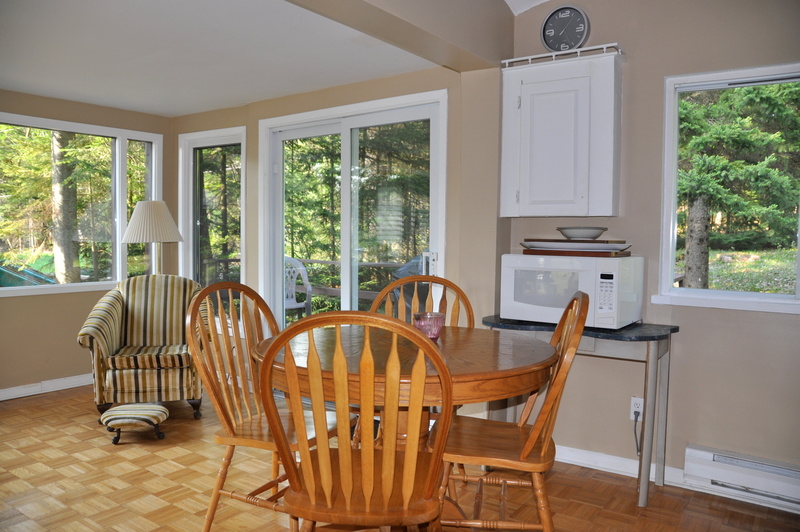 Only 20-25 minutes to either Bracebridge or Gravenhurst for groceries, gas, LCBO, dining, shopping and most all other amenities. 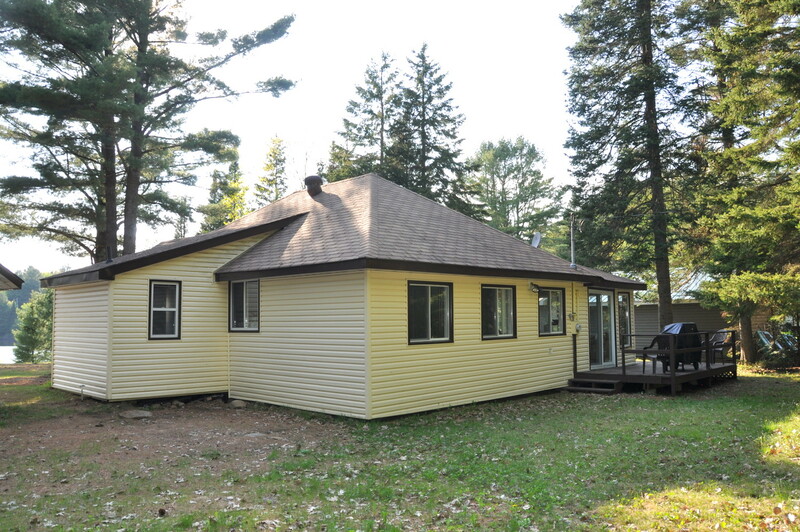 A little General Store (excellent ice cream) about 5 minutes away, on Hwy 118 (Northern Necessities), and the propane tank can also be exchanged there if needed. 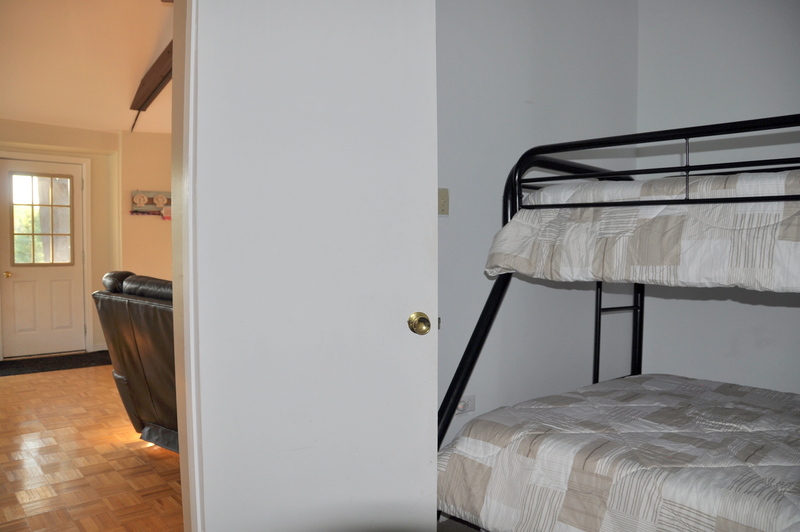 No pets, no smoking, maximum number of occupants is 8, bring own linens (king sheets will be provided) and towels, bring own drinking water (1-18L bottle provided to get you started), noise restriction after 11 PM. 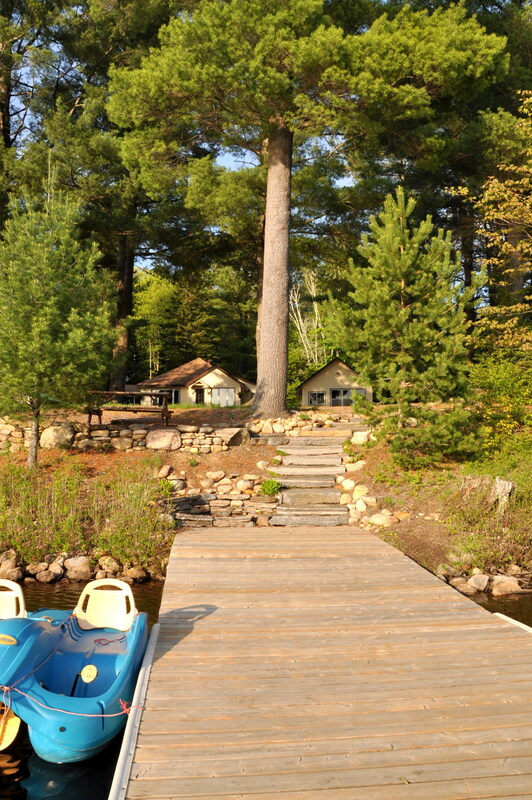 Please note that there is a small cottage road between the cottage and the waterfront.